Vandal proof and frost resistant hose union tap, which is recessed into a wall. Extended and operated using a special key. Break Tank assembly with Fluid Category 5 protection by virtue of the integral Type AB air gap. 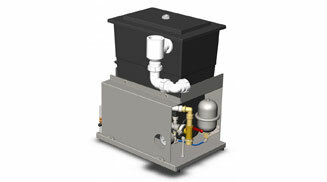 The unit is supplied as a complete package on a base plate ready for installation. Quarter turn Servicing Valve with a ball capable of accepting an Automatic Flow Limiting Cartridge to limit the flow of hot and cold water according to its flow rate. Arrow Valves manufacture and distribute a wide range of innovative water associated products and services specifically designed to conform to the requirements of the latest Water Regulations; helping contractors, architects and engineers protect, use and deliver water to the right place in the right way, keeping people safe. From our blog: A look at Whole Site (Zone) and Point of Use Protection - how these are used within the building and why they are deemed necessary. Arrow Valves Ltd was established April 1999, initially specialising in the supply of anti-pollution valves known as Reduced Pressure Zone (RPZ) valves. 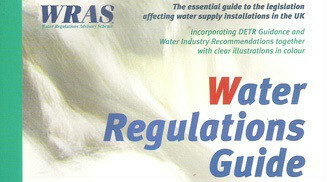 The latest water regulations were introduced in July 1999 in England and Wales. We have a thorough understanding of the current Water Regulations and how the Water Supply Industry is interpreting them. We offer a range of online resources and tutorials, as well as CPD Seminars. To request a quotation from Arrow Valves directly from this website, please complete the contact form. A representative will reply to you as soon as possible.